Unlocked is a quarterly devotional for teens featuring daily readings centered on God’s Word. Each day’s reading—whether fiction, poetry, or essay—asks the question: How does Jesus and what He did affect what we’re talking about? 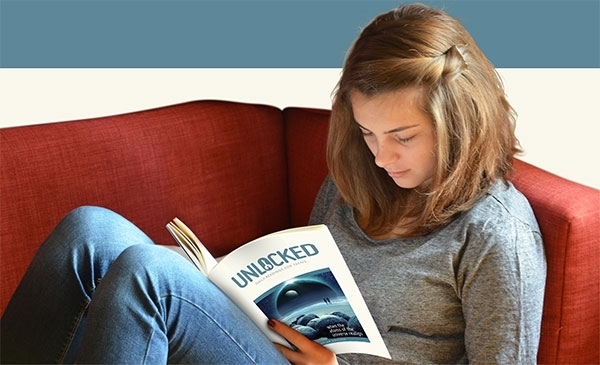 With daily readings designed to encourage discussion and a deeper walk with Christ, teens are encouraged both to engage with the Bible and to write and submit their own devotional pieces to Unlocked.The suggested donation for one year of Unlocked is $20. You can enter your donation below.